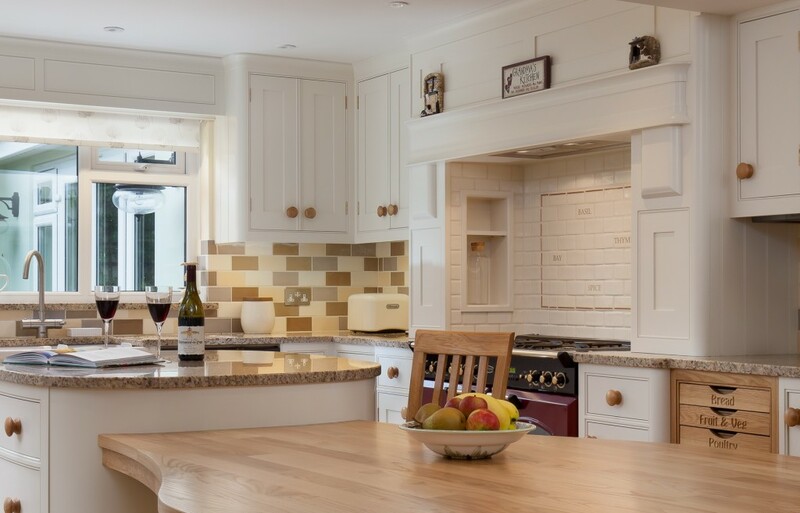 This Dartmouth kitchen once again used the popular ‘beaded shaker style cabinets’ which has become so desired by many of our customers. 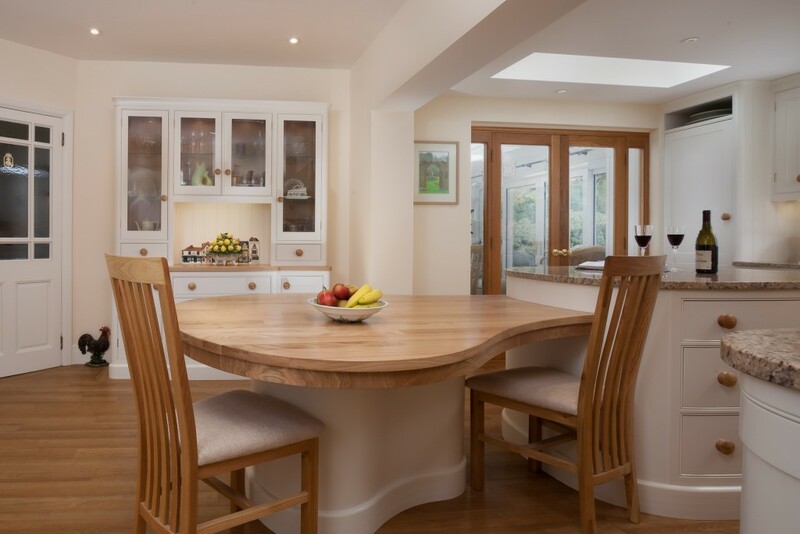 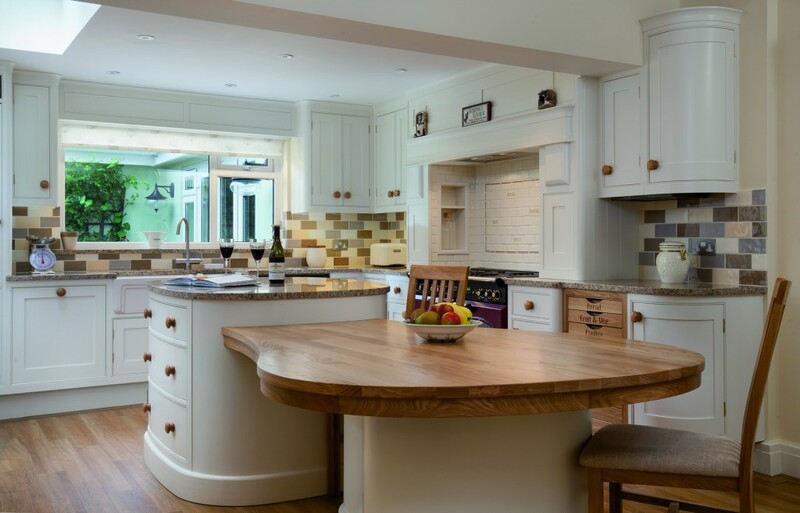 The centre piece of this large kitchen is an oval shaped Island unit with a bespoke Oak tabletop attached. 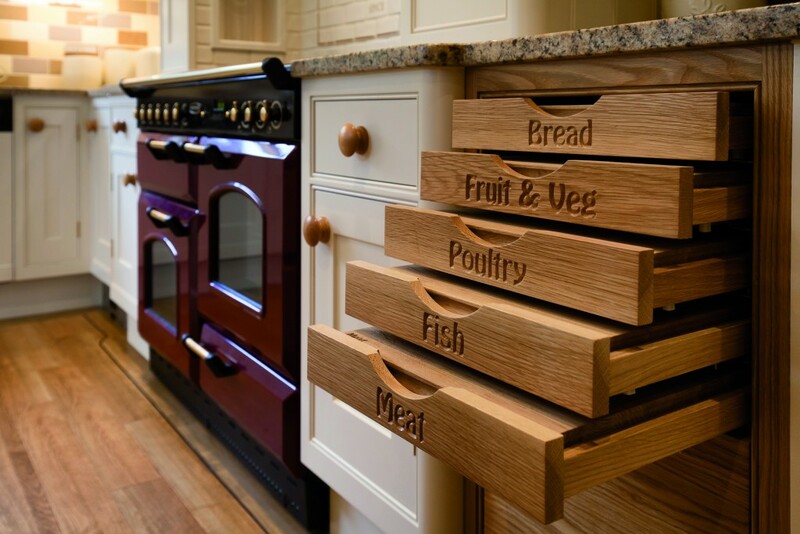 We also created a beautiful free standing dresser together with a built in alcove unit to match which not only look great provide the storage space required in a modern home. 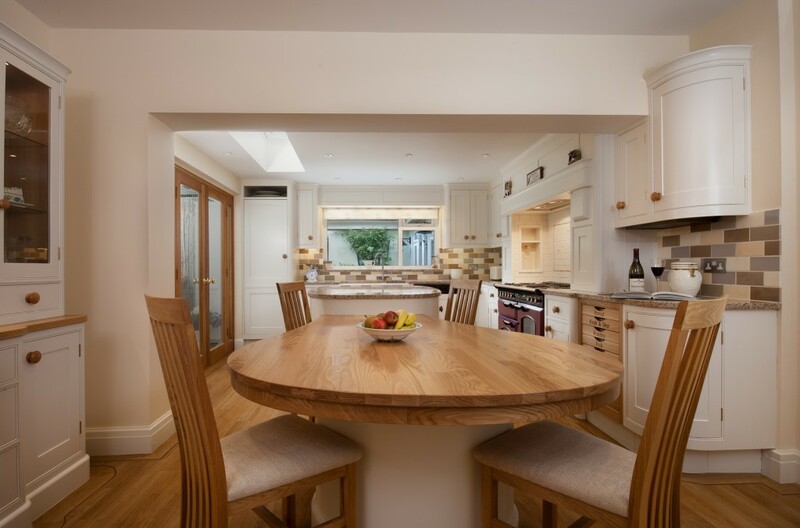 The use of the Honey coloured ‘Giallo’granite together with the Oak worktops and custom turned door Knobs give this kitchen an informal feel to the space which we are told has become a wonderful place to entertain family and friends alike.